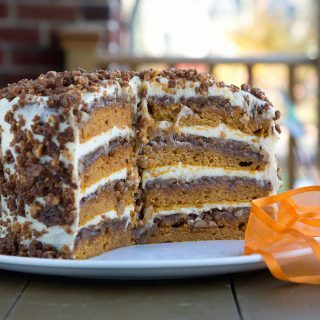 What do you do with all the leftovers from Thanksgiving? Well my first thought is to eat them every day until there are no more……sigh, but of course, that’s a guy talking, and we all know where that’s headed so we’ll just leave it at that. Did I mention I cooked a 23-pound turkey for two people? Needless to say almost half of it is now in the freezer along with a quart of gravy….after all these years of cooking for so many people, I just have a hard time making small amounts, it’s not really my fault! But there is something to be said for Thanksgiving day leftover’s, and that my friends is why I don’t go out for Thanksgiving, because the few years that I did, I still had to cook a turkey the next day……leftovers are a must! One of my favorite things to do with leftovers, is very simply a turkey sandwich, of course not your garden variety turkey sandwich but one with all the trimmings. In this part of the country, I have come to know it as a Bobbie, a staple of a local deli in West Chester, Pa. Now the deli Capriotti’s makes their Bobbie on a long Italian Sub roll, and the original is stuffing, shredded turkey, mayo, and cranberry sauce. 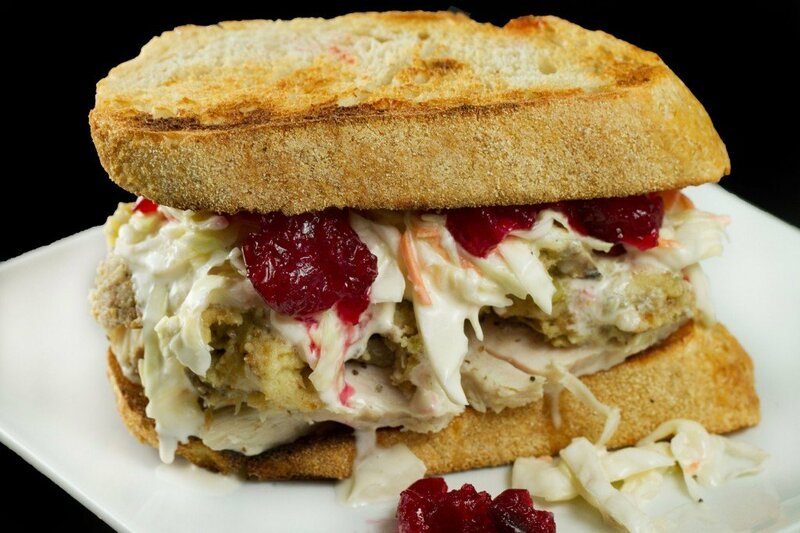 My version goes on a good Sourdough bread toasted, with mayo, stuffing, sliced turkey, whole berry cranberry sauce, and of course cole slaw! Trust me, the cole slaw makes it! 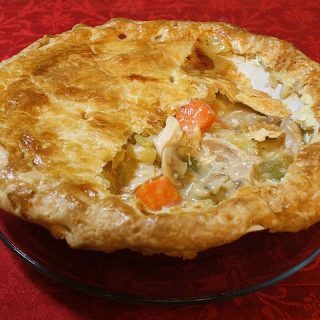 Now if you’re still looking for something else to do with all of that glorious turkey, here’s a recipe for Turkey Pot Pie that I did last Thanksgiving, just click on the link to see the recipe! 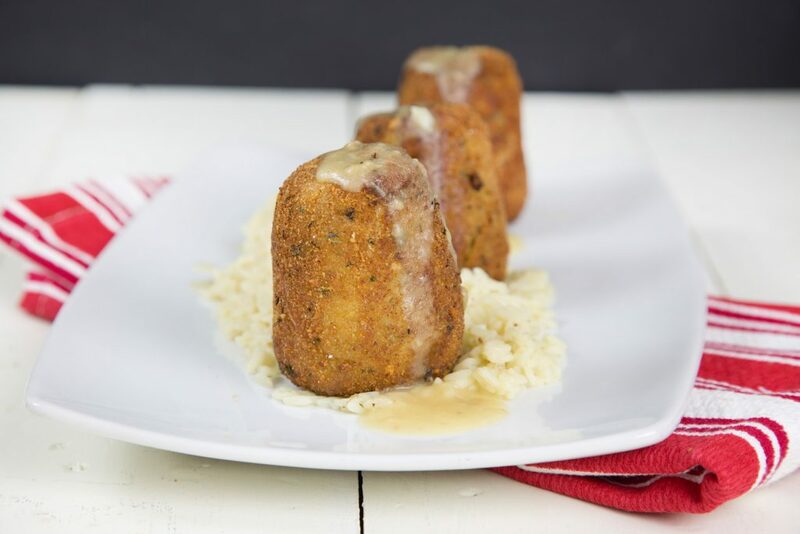 My wife’s favorite turkey leftover dish are turkey croquettes. 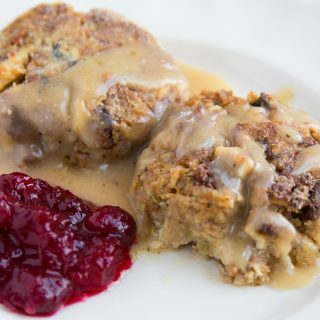 There easy to make and can even be created using leftover stuffing and a little gravy as the binder. 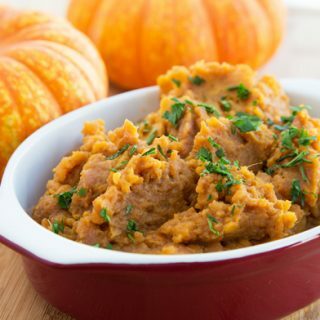 It’s a delicious way to use up those leftovers! I never make it past a couple of plates of leftovers and a few sandwiches! But I love it that way! Thank yo so much for taking the time to share your helpful knowledge about Foodbuzz. I have been just letting my posts auto post and couldn’t figure out why the picture wasn’t showing up- now I know. I am new to food blogging and can’t tell you valuable it is to have someone like you to show me the ropes. 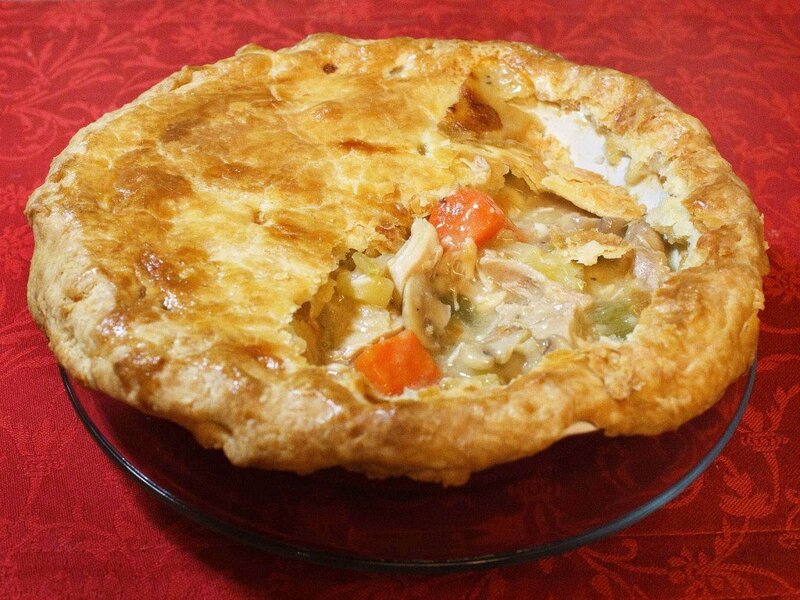 Thanks again – oh and the pot pie looks amazing, this really is the ultimate comfort food isn’t it! Thanks Amanda, if I can be of any help don’t hesitate to contact me! I see why you are such a popular blog at Foodbuzz! Great advice, I’ve been having my post’s auto feed and try to go back later and add the photos, but if you have to go add the photos why not just add your post? Now I just have to figure out how to change it from the auto – feed. There is also another food photo site called tastingspot.com (knock off name from tastespotting?). This site is different in that the readers rate the photos. So all photos are accepted, but you may need a thick skin 😉 if you submit one. all you have to do is go to your profile on Foodbuzz and remove your feed. Then you can submit manually and not have to worry about it. If you have any other questions don’t hesitate to contact me! I think you might be thinking of taste stopping, they have that option. That turkey sandwich looks delicious! Love the cranberry sauce on top! And thanks for the Foodbuzz tips. I have yet to get Top 9, but would really love to and your tips are helpful! Ha-yes it is my smiling face and no picture for my post last friday. I was having someone post for me while I was on vacation. I had saved my posts in edit mode but forgot to submit that picture to them prior to me leaving. Thanks for your input and advice regarding blogging. Your turkey sandwich does look good and the fact it is made with leftovers does not bother me one bit! I literally drooled looking at the photo of that sandwich. I wish I had some leftovers! Thanks again for your continued blogging advice. 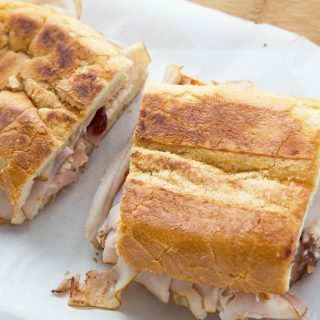 Food buzz sounds so complicated but I’m loving the simplicity of your turkey sandwich made with leftovers, looks so good I’m not sure it should be called leftovers! This looks good but you know what it needs, fries. I am going to post that soon, maybe next week. Have a great day! I’m a bit embarrassed to admit that I’m still figuring out Foodbuzz’s site. I don’t find it to be very user-friendly. I need to make a point of familiarizing myself with all of its features so that I can spend my time online most effectively. 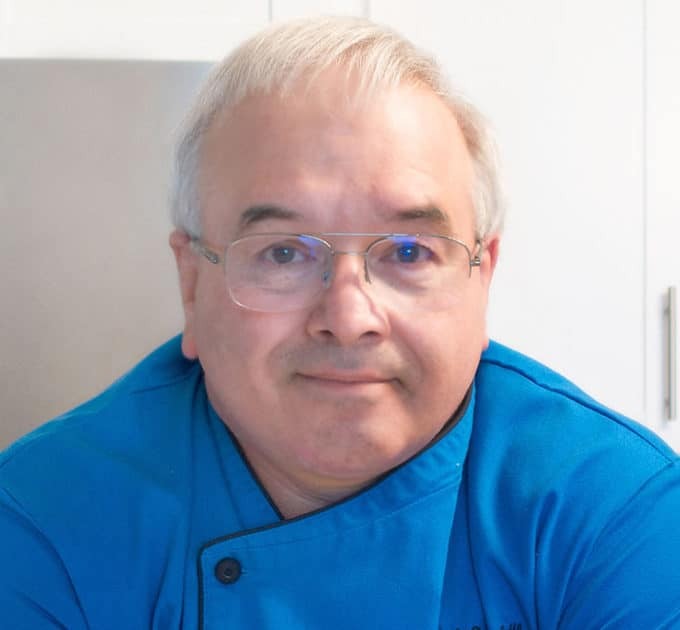 Great post, Chef Dennis – and will you make me a sandwich, please? Oh my, it looks wonderful!!!! They do seem to make it hard to navigate….if you have any questions, don’t hesitate to ask! My leftover turkey is gone, so sad. Next time we have turkey, we’ll have to make this yummy sandwich. Sometimes we just cook a turkey breast to make all the wonderful things that you can do with leftover turkey! Thank you for all of your Foodbuzz wisdom. It certainly helps to have a guide, as we navigate the unknown areas of Foodbuzz. Dang I’m out of turkey, feel free to send some of the leftovers my way, he he. I like Kita even more, I didn’t know you could make that bar go away. I have a give-away if you want to stop by. Hoping your Thanksgiving was wonderful. 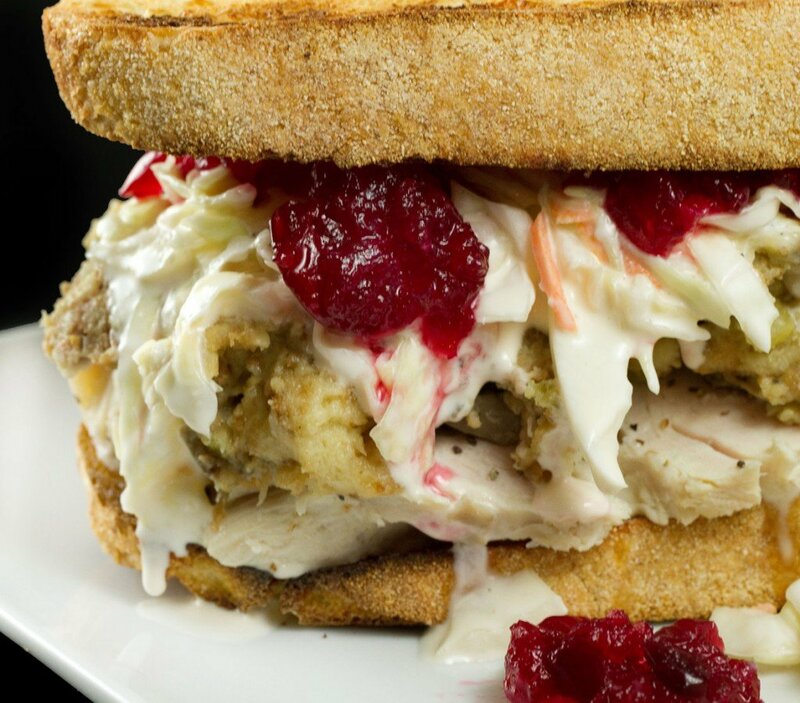 Adding coleslaw to your turkey sandwich is brilliant, Dennis! I must have turkey leftovers, too, so I always roast a turkey for the 2 of us since we go to my brother’s house for the Thanksgiving feast. You are officially an institution. I opened my email to find my subscription to your blog and my first thought when seeing Ask Chef Dennis was ‘is it Wednesday already?’! The sandwich looks great and I would never think to put cole slaw in one! I bet the crunch is fantastic and I love the flavors in cole slaw. We are definitely in the ‘ok what else can we do with this now’ stage of the leftovers. Great guidance on Foodbuzz (I learned a few things), social media and new sites as well. On difference with Tastespotting is they have an in process cropping ‘station’ so you can crop while submitting. I did not get that far into Foodepix to see if they do. I find that easier than cropping elsewhere and posting. Have a great day! Your hints are always so helpful. Thank you, Chef Dennis! And…turkey leftovers? What can I say…I love love love them. I didn’t roast a turkey this year (I roasted a duck), and so I made Pho with the duck. 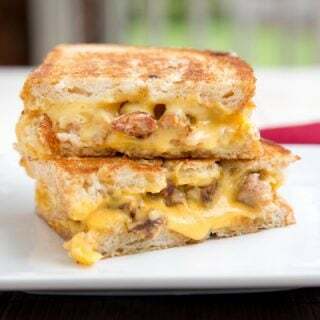 But now you’re making me wish I had turkey leftovers to make these beautiful sandwiches! The turkey sandwich just looks fab. The pie does too but the sandwich does it for me!! 🙂 We’ll be working our way through turkey leftovers at the end of next month and that sandwich is top of the list. Chef, that sandwich looks amazing! I also had to laugh at the size of the turkey you cooked for 2 people. I have so many years now of cooking for a house full of kids that I still cook as though they are all still living with me. I’m not sure I’ll ever be able to cook for less than a crowd lol. Thanks for the Foodbuzz tips! That is a great Turkey Sandwich! This year was the first time I’ve made something out of left overs. I usually just eat the same meal until all of the food is gone 🙂 Thanks for a really helpful Ask Chef Dennis today! I’ve been wondering many of the things you mentioned about foodbuzz. Thanks for clearing up a lot and answering questions!!! it would be my pleasure to meet you! If you have any question don’t hesitate to contact me! Great FB info Chef!! I really needed it as I have a hard time trying to boost my eater status. It may be because I have a very low count of friends but trying hard to build this up. Then again it may be just because my posts are terrible 🙁 agghhh..
its definitely not the quality of your posts! its how often and how many you have done, it just takes a little time to make your way up the eater status, just hang in there! Thank you Chef, this really helped me. I am on board with you on your culinary journey to learn new things in the food world. Ok. The cole slaw? That’s just genius! I have a few scraps of turkey left and I must try step up my bobbie making! Thanks for the shout out too Chef! Such a helpful post! I’ve learnt so many things – thanks! 🙂 Also going to give the Pot Pie recipe a go! My husband and I always made a giant turkey even when it was just the two of us…there truly is nothing better than leftovers 🙂 I love your sandwich! Thanks very much Chef. This is really helpful! And of course… now I’m wishing I had a big sandwich to munch on!